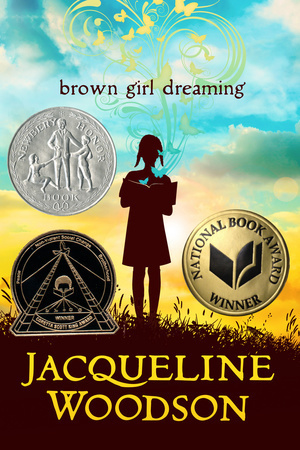 Jacqueline Woodson’s Brown Girl Dreaming is a remarkably accessible autobiographical account of the author’s childhood written in free verse that flows easily from page to page, smoothly linking each moment to the next in the story. Told through free verse, Jacqueline’s story from her earliest memories of her parents, her grandparents and her brothers and sisters is an easy read full of distinctive detail. Young readers will have no trouble identifying with another child who is sometimes confused by the world–and the adults–around her. The moments of joy are just as infectious as when you experience them yourself, the sad moments just as genuine.